I appreciate Govt. 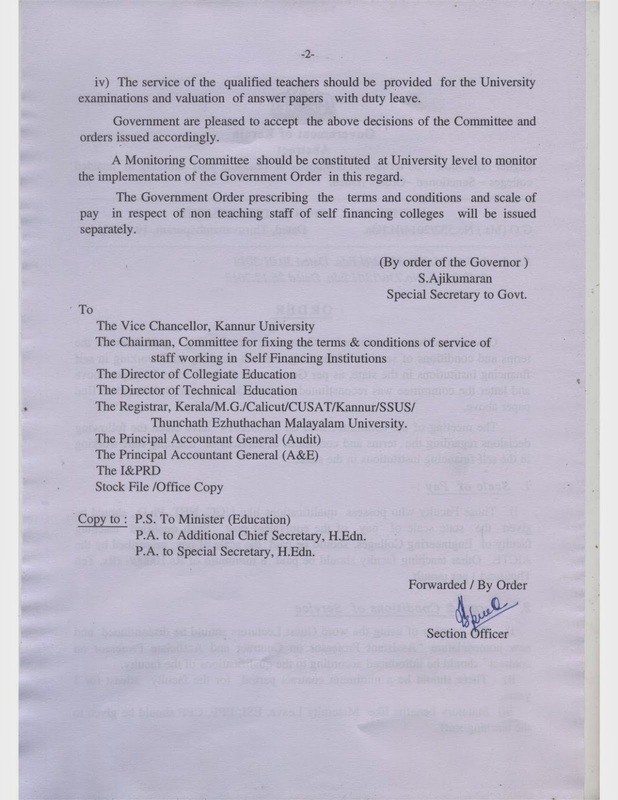 of Kerala under the Chief Minister Sri, Umman Chandi ji, and the Chief Secretary Dr. K M Abraham and Sri. 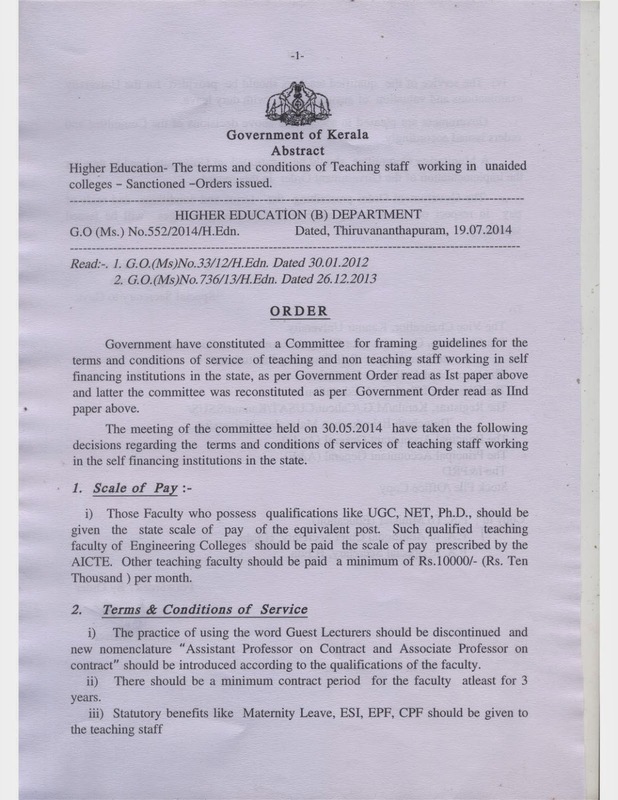 P K Abdu Rabb for taking care of the needs of teachers of self financing institutions. I have written a number of blog articles highlighting the plight of teachers of self financing institutions and we have also sent to Hon. Chief Minister and Education Minister a number of letters submitting our grievance. Thanks Umman Chandi ji and UDF government . This order is not implemented. Orders are passed but enforcement is not done. Instead of hiking the pays of poor teachers they just dismissed the teachers and closed down the self financing institutions. Bizarre, Indeed! !